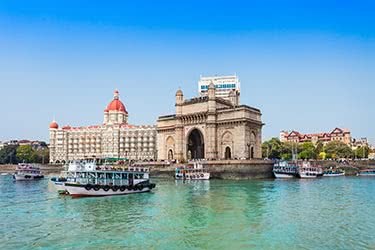 This luxury 14-day itinerary will take you to the most famous sights in India, including the Taj Mahal, the Red Fort, the lake palaces of Udaipur and spiritual Varanasi. Delve into Indian art and culture by learning how to tie a turban or having your hands painted with intricate henna art. You’ll stay in India’s best hotels on this tour, with the option of staying in fully-restored Mughal palaces for the ultimate in service and luxury. The first day of your Classic India itinerary begins in New Delhi where you will explore the city’s historic architecture. The Red Fort is one of the most important buildings in Old Delhi India, showcasing centuries of Mughal art and architecture. Today you will also visit the Jama Masjid - the most famous mosque in India - and Chandni Chowk Market. 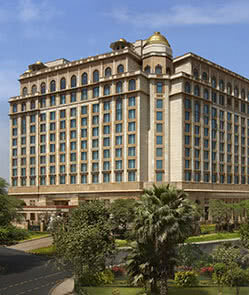 Tonight, enjoy sleeping in your luxury hotel in New Delhi; the five-star Leela Palace is an excellent choice. Spend another day exploring the cultural sites of New Delhi. 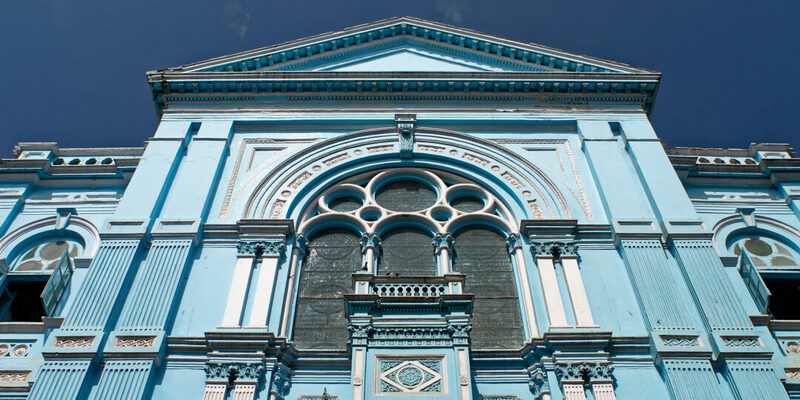 Start with an art tour of the country's best contemporary galleries. Next, visit the city’s high-end shopping zones on a bespoke shopping expedition. In the afternoon, visit the 16th-century Mughal Humayun Tomb and the Qutb Minar - the tallest tower minar in India. Return to your luxury suite in the evening for another night in New Delhi. Today you’ll make your way to Agra, around 4 hours' drive from Delhi, on the way visiting the 16th century UNESCO walled city of Fatehpur Sikri. 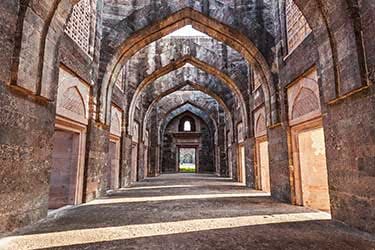 Here, you will tour the palace complex, exploring a fascinating mix of centuries-old pavilions and immense gateways sporting intricate Mughal design. 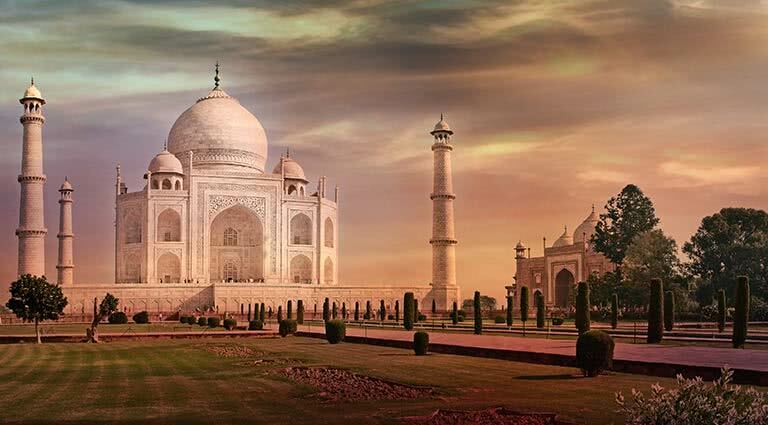 From there, you’ll head to the Taj Mahal to view this astounding monument at sunset. 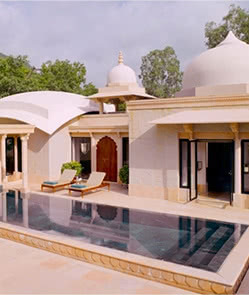 In the evening, move to the nearby Oberoi Amarvilas, where your suite has a view of the Taj Mahal. Rise early today for an unforgettable experience - the Taj Mahal at sunrise. After touring the monument with a guide, you’ll head to the 16th-century Agra Fort, another UNESCO site. You’ll next visit Keoladeo National Park, the former Bharatpur Bird Sanctuary, then the remarkable Chanda Baodi Stepwell, dating from the 9th century, featuring 3,500 steps to its 328-feet-deep base. Return to the Oberoi Amarvilas for the night. Today you’ll start off with a visit to the eerily beautiful ruins of Bhangarh town (around 4 hours from Agra), surrounded by much legend and believed by locals to be haunted. You’ll also visit the intricately adorned Neelkanth Hindu Temple and embark upon a Mansarover Lake cruise in a traditional shikara boat. 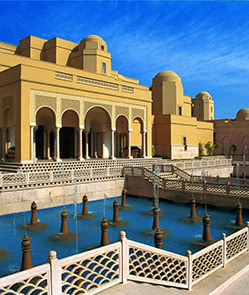 Check into the luxurious Amanbagh, which offers superlative style and comfort in a restored Rajasthan palace. Visit a unique minority village in Ajabgarh Meena, where you can observe long-standing local traditions and customs uninfluenced by modern living. 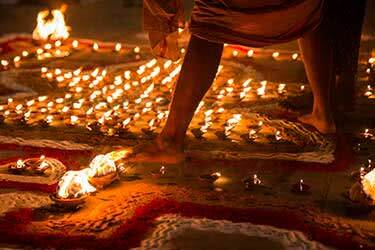 Take part in fire meditation and, later on, join a Rajasthani cooking class and learn how to make some classic North Indian dishes. Return to Amanbagh for the evening. 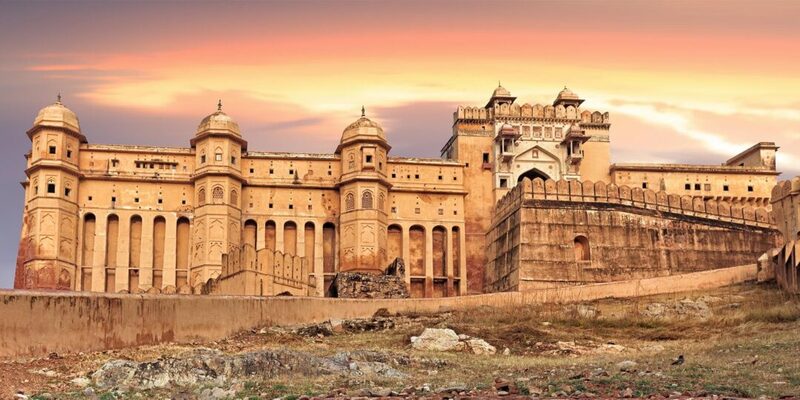 Wake up early for a hot air balloon ride over the arid mountains and vast palaces of Jaipur, including Amber Fort. 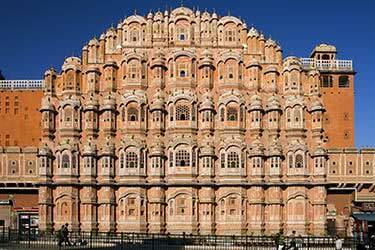 Today you’ll also see the City Palace Museum in Jaipur and visit the Jantar Mantar UNESCO-protected observatory next door, a marvel of construction dating back to the 16th century. 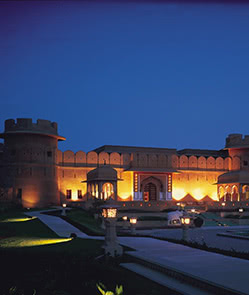 Tonight, stay in a restored Rajasthani palace - we recommend the five-star Oberoi Rajvilas or the Rambagh Palace. 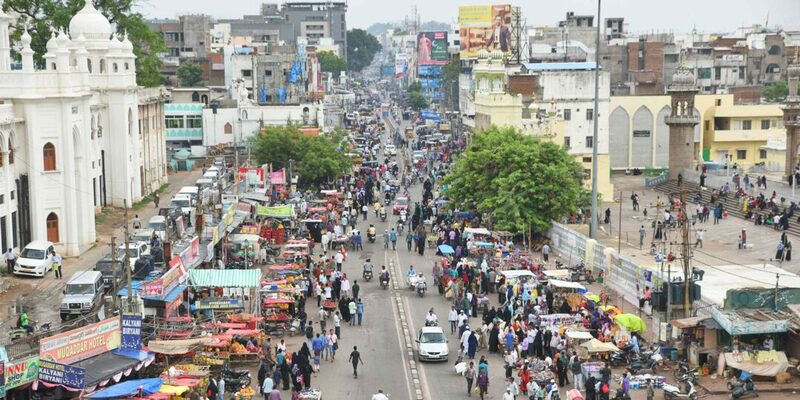 Enjoy the sights and sounds of Jaipur today starting with Tripolia Bazaar, one of the busiest markets in the city. After lunch, witness a grand puja ceremony, then head to Dera Amer elephant polo camp where you will learn the fundamentals of this royal sport before enjoying an elephant ride through the jungle. Tonight, return to your palatial suite. 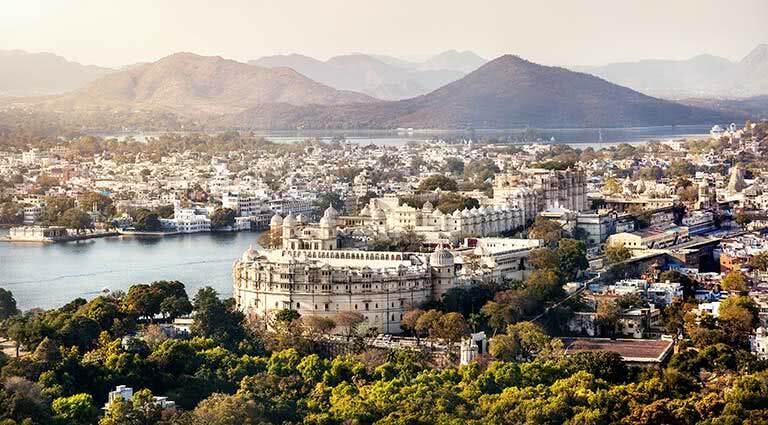 Today you’ll travel to Udaipur (around 6 hours' drive), famous for its immense palace islands and mirrored lakes. 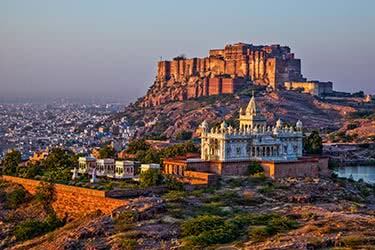 You’ll explore the City Palace, the ornate Hindu Jagdish Temple, and the iconic Jag Mandir Lake Palace. 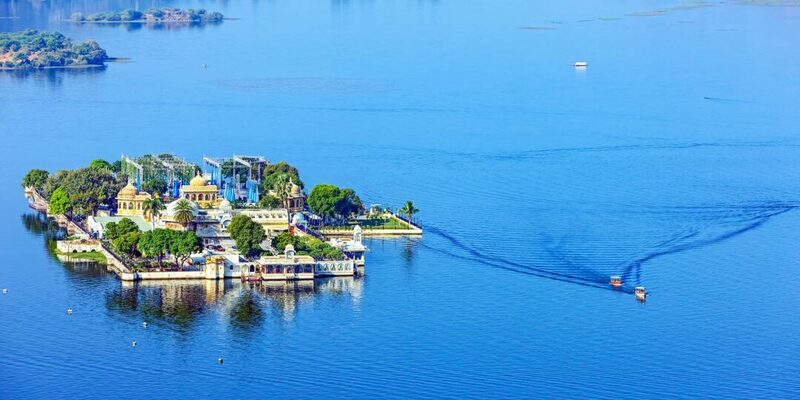 In the evening, take a sunset cruise on Lake Pichola and enjoy the palaces from the water. 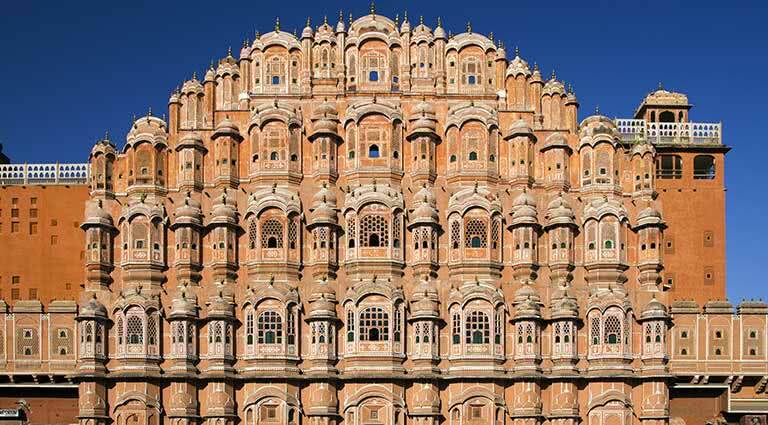 Tonight you have the chance to sleep as the Maharajas once did in one of Jaipur’s restored palaces. We recommend the Oberoi Udaivilas or the Taj Lake Palace. Embark upon a day trip to one of India’s most holy sites - the Ranakpur Jain Temple, an architectural dedication to Adinatha. 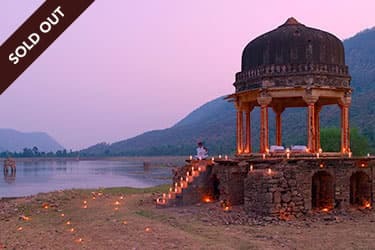 Familiarize yourself with the local culture by seeing a private sunset puja ceremony at temple before returning to Udaipur for an unforgettable dinner in your palace hotel on Lake Pichola. 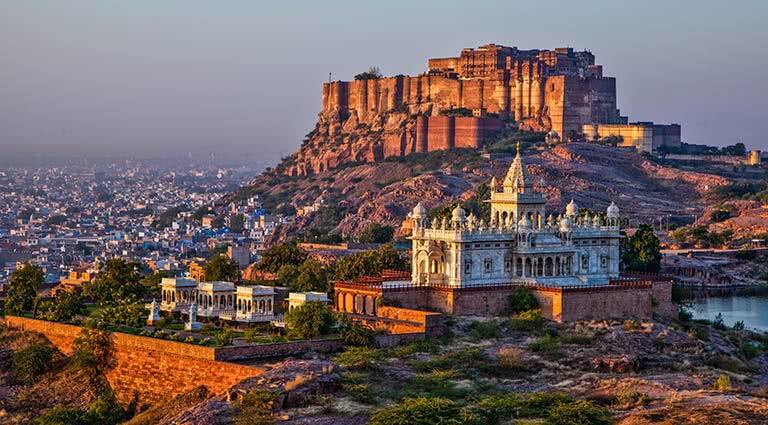 Head to Jodhpur, around 5 hours away, to the massive Mehrangarh Fort today, an imposing structure constructed 400 feet above the city with countless chambers and pavilions to explore. At the foot of the fort, you’ll visit Chokelao Bagh Gardens, created more than 200 years ago and restored to its original beauty with fragrant wildflowers and native plants. 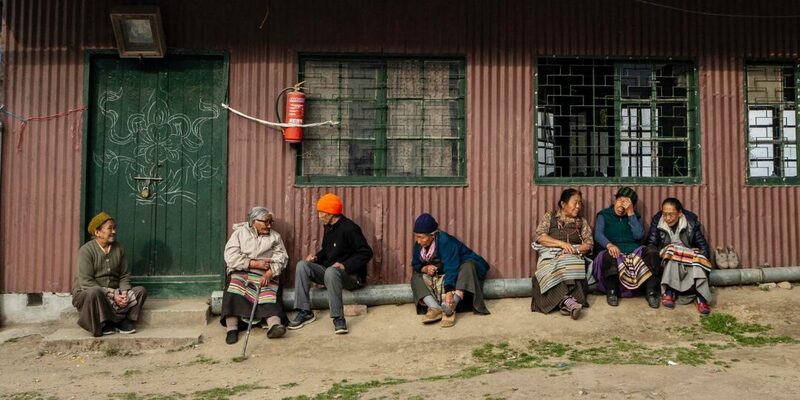 Today you’ll learn the art of turban tying and indulge in some local textile shopping. 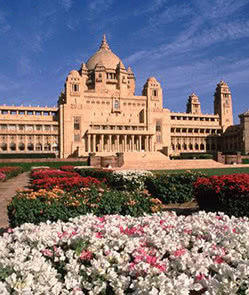 Spend the night in luxury once more in one of Jodhpur’s best hotels - we recommend the luxurious Umaid Bhawan Palace. Experience traditional dance with a troupe of Rajasthani Dhood dancers, performing to the sounds of indigenous instruments such as the dhol and the sarangi. Be immersed in color and aroma at the bustling Sardar Bazaar, and have your hands adorned with henna stenciling - an age-old Indian tradition. Spend the evening in your luxurious hotel. 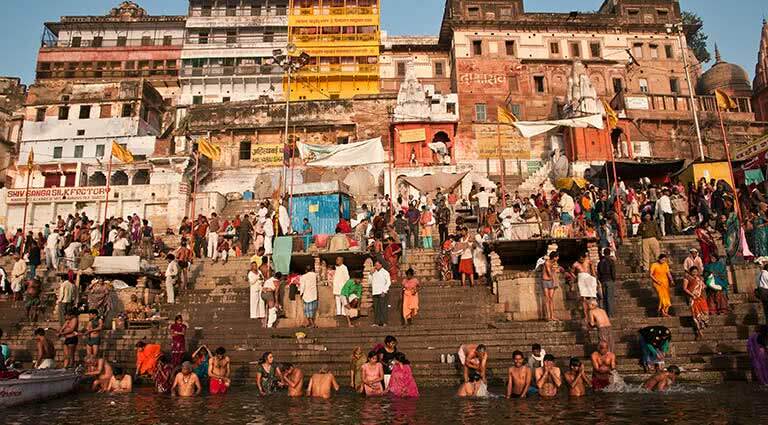 Today you will make the short journey to Varanasi, perhaps the most spiritual portion of your trip. 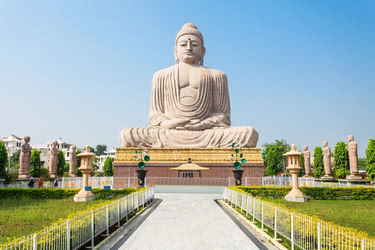 Here you will enjoy a sunrise cruise between ghats on the Ganges and take a trip to Sarnath, the deer park where the Buddha first taught the dharma. Sarnath is an important pilgrimage site and hosts many ruins and historic relics. Return to Varanasi for the evening and check into a five-star hotel - the Nadesar Palace is a great choice. On the final day of your journey, learn more about Indian culture and history at the Jnana-Pravaha Museum and Cultural Institute. Here, you can explore an extensive collection of Indian textiles, decorative art, paintings, woodwork, instruments and more. 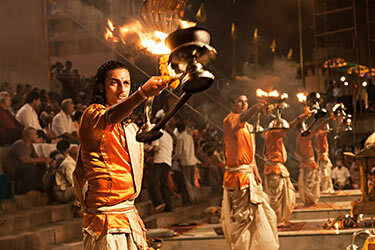 In the evening, enjoy the sunset Aarti on the banks of the Ganges - the perfect end to a remarkable Indian excursion. Located near the heart of Chanakyapuri, the city’s diplomatic enclave, the Leela Palace New Delhi is a five-star luxury hotel in the Indian capital. Its 260 rooms and suites combine traditional Indian opulence with sleek contemporary decor and amenities in typical Leela luxury. Dining options include the striking glass-house Qube,offering an eclectic global menu and show kitchens, overlooking the Leela’s gardens; Jamavar for traditional Rajasthani and north Indian cuisine; and new outposts of the acclaimed restaurants Le Cirque (French and Italian) and Megu (Japanese). The Library, meanwhile, is a sophisticated retreat for cocktails, fine whiskeys, cigars, and a collection of first-edition books. The ESPA spa offers a range of Western, Oriental and Ayurvedic-influenced health and beauty treatments, as well as a café, a state-of-the-art fitness studio, relaxation lounge, finishing studio, roof terrace, and sauna, steam and drench rooms. 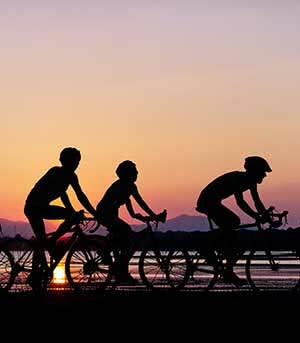 The Leela is approximately a 30-minute drive from Indira Gandhi International airport (DEL). Located just 600 meters from the Taj Mahal, the Oberoi Amarvilas offers views of this romantic monument from each of its 109 guest rooms and suites, as well as the property’s lobby, bar and lounge. With a nod to Moorish and Mughal architecture, the resort features terraced lawns, fountains, reflection pools and pavilions with rich interiors. Room and suite amenities include a separate walk-in closet with electronic safe, lavish marble bathrooms with deluxe toiletries. The Amarvilas is also home to two restaurants, Bellevue and Esphahan, which serve fine international and Indian cuisine. Complementing the grandeur of the Mughal era is the spa that befits the self-indulgence of royalty, with holistic treatments based on Ayurveda and ancient Thai and western massage techniques, as well as beauty and body treatments. Other facilities include a swimming pool and a state-of-the-art gymnasium. The sumptuous Amanbagh hotel is located in the remote Alwar region of Rajasthan on one of the sites used long ago by the Maharajah of Alwar for his mobile tiger hunting camps. 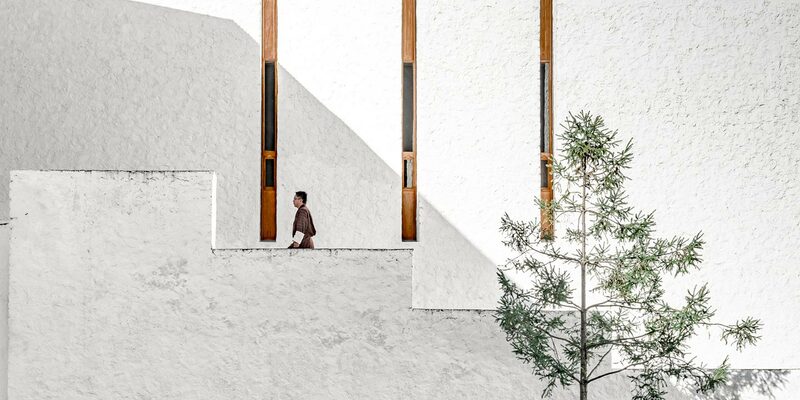 With 32 rooms and suites, Amanbagh, which translates as "peaceful garden" is designed as a contemporary interpretation of the great palaces built during India's golden age of architecture. The Restaurant serves a deluxe version of the region's home-style cooking as well as western specialties in a refined atmosphere including indoor and outdoor seating areas. Additionally, there is a courtyard for more casual dining near the pool area. The Bar and Lounge is an intimate place to relax and unwind during the afternoon and into the evening. An ongoing series of lectures on regional art and architecture, history, and philosophy is offered to guests in the hotel's library. Amanbagh has a comprehensive spa program specializing in Ayurvedic treatments as well as a devoted area for the practice and instruction of yoga. 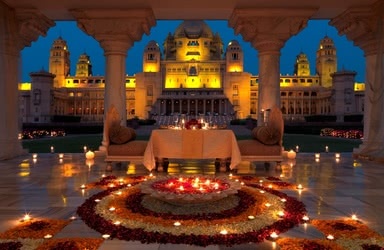 Set in 32 acres of landscaped grounds, the Oberoi Rajvilas faithfully recreates the majesty of the Rajasthani royals. 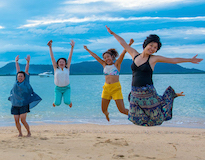 Each of the property’s rooms, tents and villas features the following amenities: LCD TV, DVD player, satellite television,wired and wireless broadband Internet access and 24-hour butler service. All accommodations are set in private courtyards, giving one the impression of being inside a fort. The fully air-conditioned, luxury tents in particular are unique to this property. Each tent has a private patio and a garden which is enclosed by a mud wall. Inside, the tents are spacious and airy, featuring colonial design such as a free-standing, claw footed bathtub and separate shower. 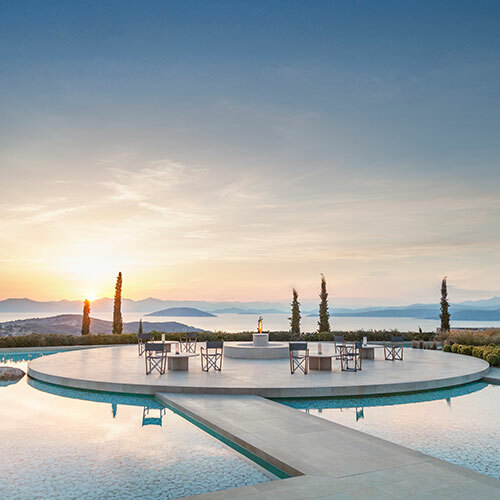 There is a spa with a full suite of massage and spa treatment offerings, in addition to a state-of-the-art fitness center, flood-lit tennis courts, and outdoor pool in a lovely garden setting. There are two restaurants that serve Indian and international cuisine, in addition to the library bar. Room service is available 24 hours a day. 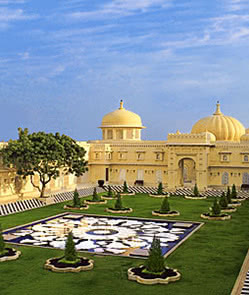 Until recently, the spectacular Rambagh Palace was the home of Jaipur royalty. The almost 200-year-old hotel is considered one of the great palace hotels of India, and is world-renowned for its beautiful architecture, its vast gardens and its 79 magnificent rooms and historical suites. The Survana Mahal is the hotel's grand dining room and serves delicious Indian cuisine and international fare is available in the Rajput Room. The hotel's famous Polo Bar, the lounge of choice for local society, is decorated with the trophies and polo memorabilia of the late Maharaja of Jaipur. Rambagh Palace offers guests indoor and outdoor swimming pools, tennis, croquet and a fitness center. The business center has broadband Internet access, wi-fi access and secretarial services. Ayurvedic therapy and massages can be arranged in the Palace Salon or in the privacy of your room. 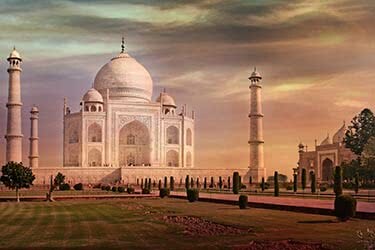 Taj Rambagh is approximately 20 minutes from the airport (JAI). 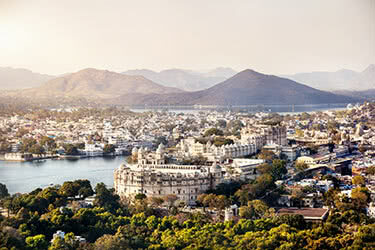 Nestled along the beautiful Lake Pichola, The Oberoi is designed after the majestic Indian palaces of yore that litter the Mewar region: grand pavilions and domes, decorated with frescos and adorned with artifacts stun the senses, while top quality service lends a touch of regality to your travels. Many of the 90 rooms, designed to evoke the history and culture of Rajasthan, have terraces that open on to semi-private swimming pools; suites include private swimming pools and outdoor dining pavilions. Dining options include: Chandni, an upscale Indian restaurant; Suryamahal, for European, Mediterranean and Thai dishes; and Udaimahal, a dining experience approximating the opulence of maharajas. 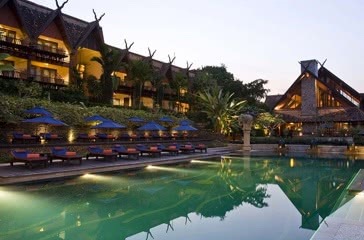 The Udaivilas has a business center, an excellent Oberoi spa, two pools and a sports complex. 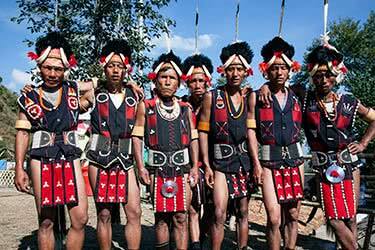 The hotel is a 40-minute drive from Dabok Airport (UDR). The white marble Taj Lake Palace seems to float magically in the middle of the stunning Lake Pichola, facing the city of Udaipur against the backdrop of the Aravalli Mountains. The hotel’s 83 individually decorated rooms and suites are located in a former royal palace that is only accessible from the mainland by boat. 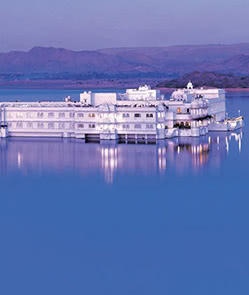 Recently renovated and updated, the Taj Lake Palace is considered one of the most romantic hotels in the world. The Neel Kamal restaurant serves Rajasthani cuisine; the Jharokha room offers light international fare; and the open-air rooftop restaurant Bhairo has clear view of the City Palace. 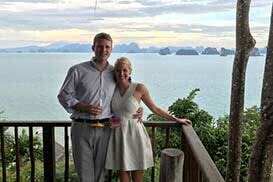 There is a lakeside bar and lounge with incredible views of the surrounding countryside. The hotel has an outdoor swimming pool, hot and cold Jacuzzis and an aerobic workout room, though no fitness center. The business center has computers and mobile phones for hire, broadband Internet access and wi-fi access. The Jiva spa offers traditional Indian spa treatments, and is available for exercise and relaxation. Taj Lake Palace is a 40-minute drive to the airport in Dabok (UDR). One of the great palaces of India, the yellow sandstone Umaid Bhawan was completed in 1943 after 15 years of construction. 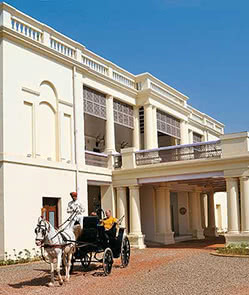 While Umaid Bhawan is now open to guests, members of the Singh royal family still live in a wing of the palace. The sixty-four rooms and suites of the Umaid Bhawan are divided into five categories; all rooms include wi-fi, LCD televisions, electronic safes, and even a selection of bath mixes, including milk baths and detoxification baths. Dining options include the storied Risala, which serves the finest Indian and Continental English cuisine, and was built to commemorate a victory by a local cavalry regiment in World War I; Pillars, an attractive, casual eatery set on a verandah; the Sunset Pavilion, an outdoor restaurant which serves barbecued and grilled cuisine from around the world; and the Trophy Bar. Other amenities include a business center, billards tables, a tennis and squash court, a fitness center, a Spa, and even a series of shops and boutiques. 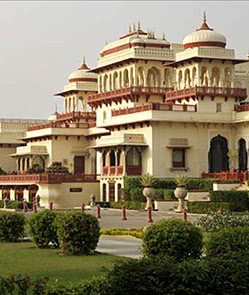 The Nadesar Palace lies nestled in the heart of vibrant Varanasi among mango orchards, marigold and jasmine fields. Built by the East India Company and acquired by Maharaja Prabhu Narain Singh in the 19th century, the property is named after goddess Nadesari, whose shrine is located in front of the palace. All accommodation at the boutique yet opulent Nadesar Palace, which includes just 10 luxuriously appointed Heritage Rooms, Heritage Suites and Royal Suites, is generously scaled with large windows overlooking the gardens and spacious bathrooms in cool white marble. There is a restaurant serving local cuisine and satvik fare, which is said to bring calmness, intelligence, strength, health, happiness and longevity. Fresh fruits and vegetables, cereals and grains form the main ingredients of satvik food. 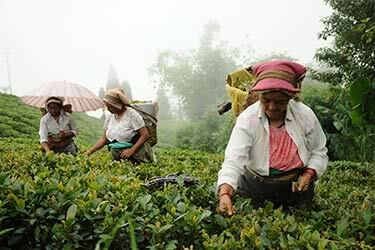 The grounds are just 13 miles from Varanasi’s airport (VNS). Explore the sights and attractions of India’s exciting Bengal region, on a 12-day luxury journey from Bangladesh’s bustling Dhaka, through the lush Sundarbans mangrove forest, onwards to Calcutta for lunch at the Polo Club, and ending Darjeeling for a tour and stay at Glenburn Tea Estate. 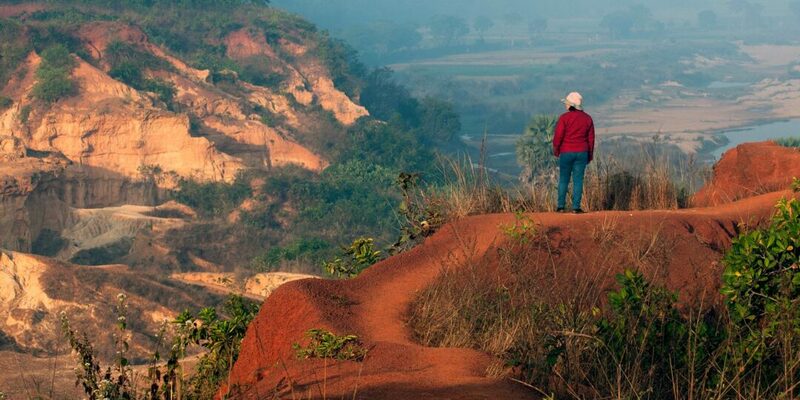 The trip takes intrepid travelers through India's expansive central state of Madhya Pradesh. 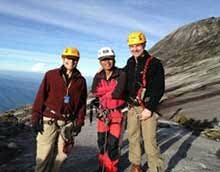 Over the course of 11 days, you will have the opportunity to explore three of the state’s major parks. 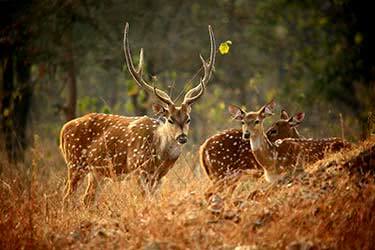 Along the way, visit some of Madhya Pradesh's historical palaces and temples. 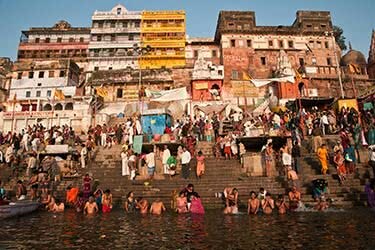 This 13-day quest through the central state of Madhya Pradesh, India, will take you to numerous off the beaten path archaeological and UNESCO world heritage sites to discover the vibrant cultural traditions of Indian’s expansive inland state. 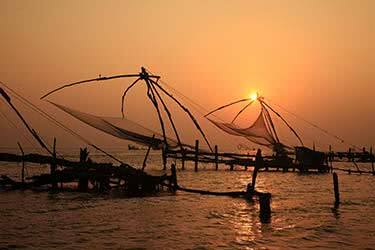 Travel from Kerala’s languid backwaters to Goa’s famous white-sand beaches on this 10-day luxury India journey. 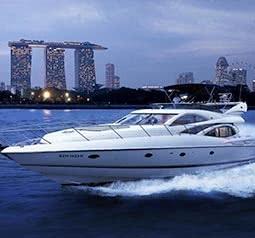 You’ll sleep aboard a luxury kettuvallam, learn to make a rich, thick Indian curry, and spend days doing nothing but relaxing by the pool and observing the Arabian Sea at either the Leela or Taj Exotica Goa. The exciting 12-day agenda includes numerous stops at historic, lesser-known gems away from the standard tourist-heavy beat with a final stop at Varanasi. 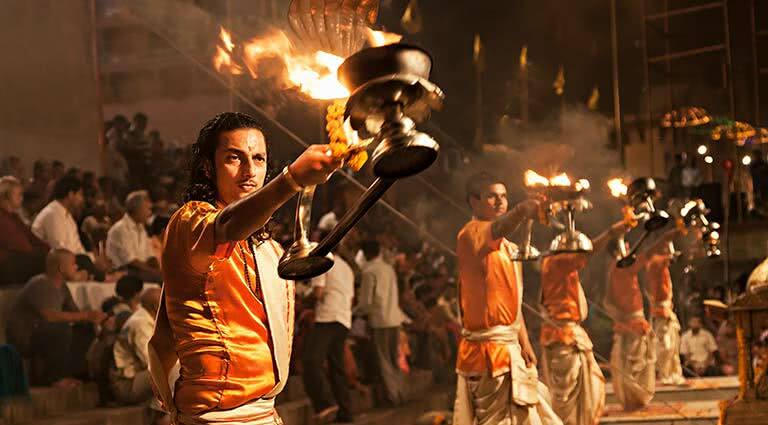 Though travelers may opt for this itinerary at any time of year, we highly recommend timing this trip in late October to early November to coincide with Dev Deepawali – an annual celebration that occurs in Varanasi and translates to “Festival of Lights of the Gods” in Hindi. 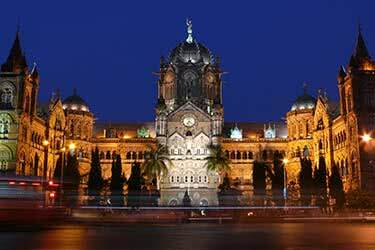 Take a journey through Central India, passing through Mumbai, Hampi, Bangalore, and Hyderabad on this 11-day luxury journey. 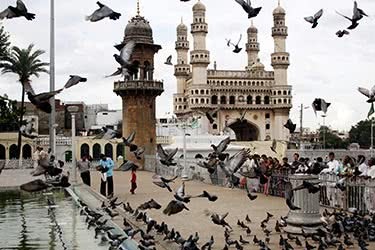 You’ll sleep in some of India’s most luxurious hotels, including the Taj Mahal Palace & Tower, spend time in Bollywood, visit the ancient ruins of Golkonda, and rock climb in Hampi. 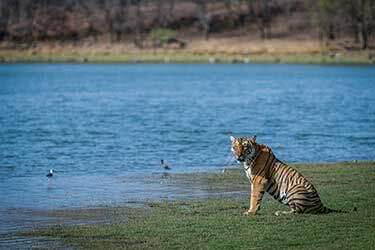 Plunge into the untouched beauty of central India on this unforgettable 14-day journey around some of the country’s most historic sites. 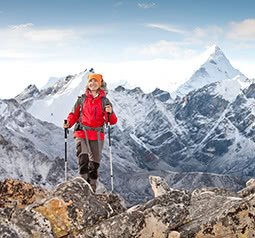 Discover the matchless natural beauty of this lesser-visited region as you hike, explore and camp in ultimate luxury. 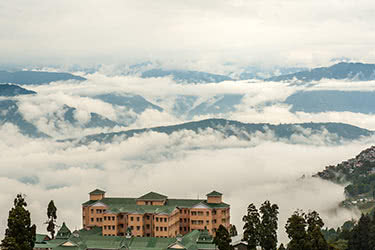 This 8-day luxury tour of Darjeeling and Northeastern India starts in Calcutta at the city’s famous Polo Club, and continues on to fragrant Darjeeling, with a tour and stay at Glenburn Tea Estate, rounding off in Sikkim, with its friendly locals, and incredible mountain views. 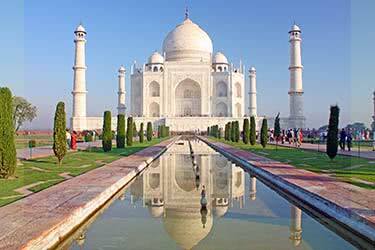 This 14-day itinerary is ideal for a couple seeking a truly luxurious and romantic getaway together in exotic India. Punctuated with magical moments, this trip perfect for making a proposal to that special someone. 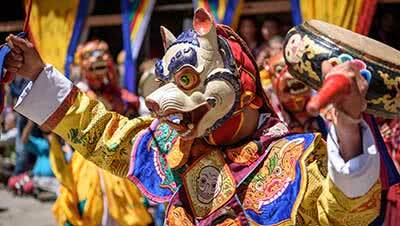 This 19-day itinerary promises to immerse you deep into the local culture and religious beliefs throughout the Himalayas by exploring beautiful ancient religious monuments and sacred sites of worship. 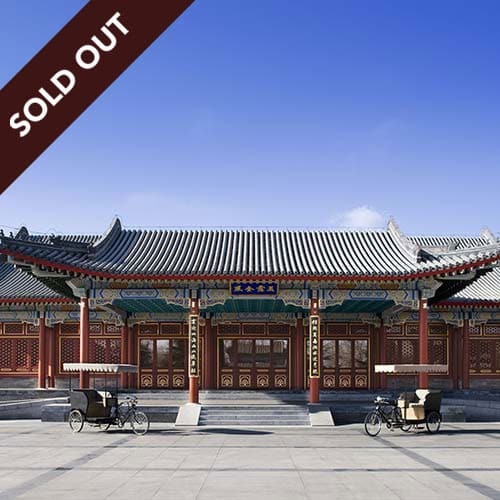 Follow in the footsteps of the revered Buddha, from his birthplace, to where he was believed to have gained enlightenment, and the site of his death. 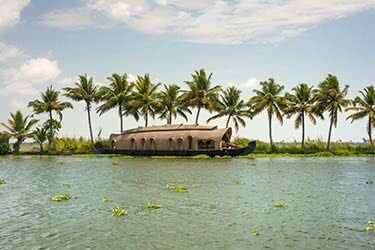 Take a thrilling trip through India and Sri Lanka, spending 17 days meandering from Mumbai’s iconic Bollywood, down the backwaters of Kerala, exploring colonial Cochin. You’ll fly onwards to Sri Lanka, where you’ll explore its ancient wonders like the Temple of Tooth, all the while staying in luxury hotels. 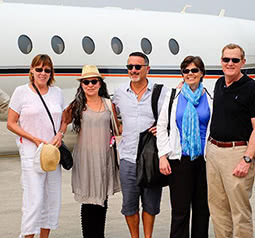 Spend 22 days traveling from India to Bhutan on this luxurious adventure of a lifetime. 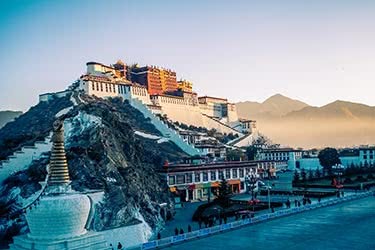 Shop in New Delhi’s world-famous Chandni Chowk market, dine at the Calcutta Polo Club, and marvel at the ancient Tibetan Buddhist Ghoom Monastery, while staying in luxury hotels like Amankora and Oberoi. 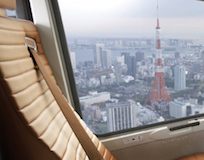 Join Aman for an exclusive and unforgettable 17-day adventure across Asia. 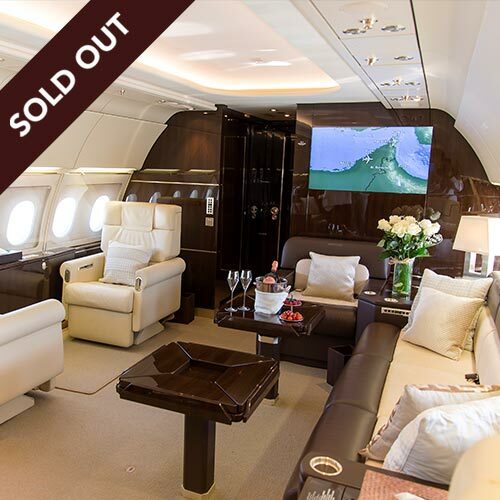 Prepare to be whisked across the continent aboard your private jet and stay at eight of their luxury properties in Shanghai, Lijiang, Thimphu, Paro, Alwar, Ranthambore, Galle and Tangalle. 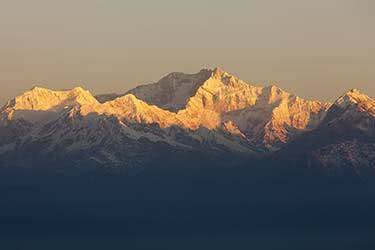 Explore the world’s most majestic peaks on this 22-day Himalayan adventure. 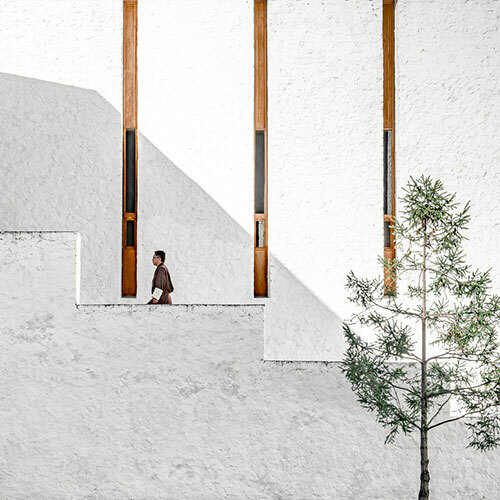 You’ll trek through China, Nepal, Bhutan and India, staying at luxury hotels and lodges like the Amankora or Uma by COMO. 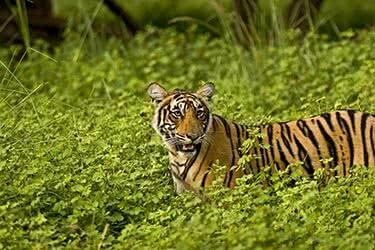 You’ll walk along the Great Wall of China, visit the ancient Potala Palace, and search for Bengal Tigers in Chitwan. 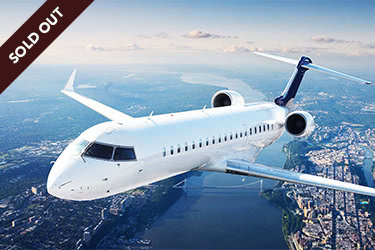 Board your own private jet to travel in sheer luxury through India’s best leisure spots on this remarkable 10-day journey. 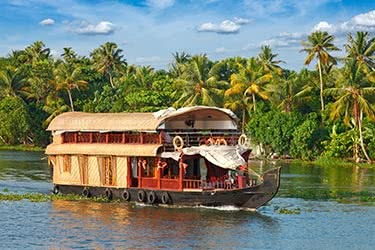 You’ll explore Cochin’s colonial wonders, cruise Kerala’s backwaters on a luxury Kettuvallam, and enjoy refreshing poolside cocktails at your five-star beachside resort on Goa’s white-sand beaches. 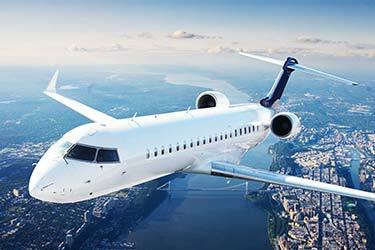 Take a private jet through the world’s highest peaks - the Himalayas - on this incredible 11-day luxury India tour. You’ll jet into New Delhi, over to Shimla to stay in its stunning Wildflower Hall, onto Rishikesh for yoga and meditation at a luxury spa resort, ending in Darjeeling for an exclusive tea tasting. 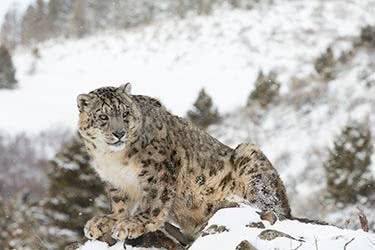 This 14-day adventure promises to bring you beauty and excitement as you search the mountains of India for the elusive Snow Leopard. Indulge your senses in majestic mountain views and vibrant valley vistas as you explore the villages of Leh and Ullay in search of the glorious cat. Our co-founder Jay Tindall is a regular visitor to India, where he loves staying in the palace hotels of Rajasthan. His favourite experience? The amazing Kumbh Mela festival.